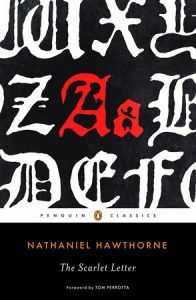 Set in 17th-century Puritan New England, this story of illicit passion, guilt and punishment revolves around the beautiful and mysterious Hester Prynne. She is condemned to wear a scarlet letter as a sign of her adultery, and it has a strange and disturbing effect upon those around her - neighbours, husband, lover and child. If you're looking for more classic fiction featuring female leads, check out the titles below. A masterpiece of early feminist fiction telling the story of a woman who finally decides to decide her own fate. Dreiser's first novel, intertwining the story of a young woman seduced by the lure of the modern city with the story of a middle-aged man seduced by desire for Carrie herself, established a style and a realism which influenced many later writers. View more suggestions for The Scarlet Letter.